Born 26 January 1811, Vermont. Died 15 August 1888, Industry. 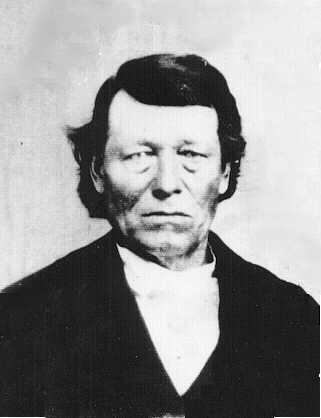 Orsamus Farrington came to McDonough county in April 1830, and served in Black Hawk War, 1832. He was married first to Milla Hills on 24 April 1834, and second to Nancy Hoggatt on 27 December 1860. Orsamus was the son of Asa and Louisa Twitchell Farrington. Asa and Louisa were both children of Revolutionary War veterans.